Home loans are long-term debt products and the economy goes through many cycles in those years. This leads to the interest rates going up or down every few years. People use these downward movements in interest rates to refinance their home loan and lower the interest that they currently pay on their home loan. However, people sometimes forget to keep track of these interest rate movements over the years as they get caught up with other things in their personal and professional lives. This is where websites like mymoneykarma.com can help you. Simply register your home loan with them and they track the interest rate movement for you and inform you once the interest rates go below what you already pay. In addition, home loan checkup calculator on mymoneykarma.com gives you the best options at the new interest rate and helps you refinance your home loan to the option you choose. The financial position of people changes with time. There are times when people need more cash flow. Reducing the home loan EMI can be a good way to add to ones cash flow. People use the low-interest rate environment to refinance their loan at a lower interest rate to lower the monthly EMI paid by them. This helps to add to their cash flow. The trick here is to know whether refinancing your home loan will reduce your monthly EMI. This is complicated and time-consuming if you plan to check with your bank. However, you can use the home loan checkup calculator on mymoneykarma.com, where you can enter your current loan parameters and find out how much you can reduce on your monthly EMI. When the home loan interest rate reduces people can refinance their home loan at the new interest rate. However, if you keep your monthly EMI constant, to that paid before the refinance, you can reduce the tenure of your home loan. Thus, if you do not care that much about additional monthly cash flow, keeping the EMI constant would help you pay off your loan faster. This is a great option to help you save a lot on the total interest paid and get debt free faster. 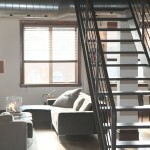 Figure out how much you can reduce on your home loan tenure using the home loan checkup calculator on mymoneykarma.com. Refinancing can be extremely beneficial for you if done correctly and if the reasons for doing so are correct. Once you have determined that refinancing is the right-fit for your circumstances, you should get expert advice from websites such as mymoneykarma.com. So, don’t just jump on the bandwagon and refinance your home loan, but consider carefully the consequences and get an expert advice to make a profitable choice.